Success is golden for a luxury hotel near Oban which has been presented with the highest award given by VisitScotland. The Isle of Eriska Hotel, Spa and Island has won the gold award for country houses — a testament to its outstanding service — having already achieved VisitScotland five-star status. The hotel, which stands on its own small island, accessed by bridge from Benderloch, first gained its five-star rating five years ago and has continued to strive for excellence since. Beppo Buchanan-Smith, managing director of the family business, said: “I am very proud of the team who work here. “They work endlessly and tirelessly to produce the standard of service that we have. “People get the choice to go anywhere in the world, but what sets us apart in Scotland is our level of service and hospitality. “It sets us as a world-class destination. VisitScotland’s regional director, David Adams McGilp, said: “I’m delighted that the hard work and dedication of the Isle of Eriska Hotel has been rewarded with five gold stars. “Establishments such as the Isle of Eriska Hotel really are the leading lights in tourism when it comes to exceptional quality and service in accommodation provision. The hotel has also been shortlisted in the Taste of Scotland category at the Scottish Thistle Awards. This article is just one part of the on-line Business Development and PR support available to all clients of The Edge Studios. The E-dge provide web design, content management, marketing and project management services to Scotland's West Coast Golf Links and golf tourism businesses across Ayrshire and Scotland. The Old Loans Inn, the hotel, bar and restaurant near Troon, part of the privately owned SimpsInns hotel group based in the heart of Ayrshire, reached dizzy new heights this week after being announced as winner of the Scottish Licensed Trade News (SLTN) award in the category of “Best New Business” for 2010. Based in the village of Loans near Troon, The Old Loans Inn was short-listed for the prestigious award before taking top plaudits at the glittering ceremony hosted by TV personality Tess Daly at the Hilton Hotel in Glasgow on Thursday night. The much sought-after SLTN awards, now in their 15th year, identify stars of the hospitality industry with the category of “Best New Business” fiercely contested after organisers received hundreds of entries across Scotland. The Old Loans Inn has also been nominated for Hotel of the Year in the Golf Tourism Scotland Gold Standards Awards, which celebrate the very best in Scottish Golf Tourism. With this nomination we are now in the running for four awards over the next month. This article is just one part of the on-line Business Development and PR support available to all clients of The Edge Studios. The E-dge provide web design, marketing and on-line booking services to The Old Inn and hospitality business across Ayrshire and Scotland. The five-star Fairmont St Andrews has been named as Scotland's best golf resort and spa by the World Travel Awards. Beating off competition from a number of the world’s best golf courses – including Gleneagles, Turnberry and Cameron House – the Fairmont boasts two championship golf courses, the Torrance and Kittocks, and has played host to a number of prestigious events, including both the Open Championship's final local qualifying and the Scottish Senior Open. With thousands of votes cast by travel professionals from 183,000 travel agencies in more than 160 countries globally, winning a World Travel Award has become one of the highest accolades a travel product can receive. The site of Irvine’s Golf Hotel is set to be transformed into a continental-style bar and restaurant. This week, new owners Malcolm and Karen Simpson, of SimpsInns, confirmed they had big plans for the former hotel in Kilwinning Road which will see the hotel being torn down within a year as work starts on Si! Restaurant and Bar. The ambitious project boasts a two-storey restaurant and bar complete with a balcony for al fresco dining. And it will bring 40 jobs to the town. Malcolm and wife Karen, who also own the Gailes Hotel, the Old Loans Inn and travel company, Wilkinson Golf, have also bought over the Waterside Inn in Seamill. The Waterside is set to be transformed into a five-star hotel and spa, the likes of which have never been seen in North Ayrshire. As Malcolm showed the Irvine Herald his ambitious plans for Si! and the Waterside Hotel he said: “The Golf Hotel site deal has taken some time to put together but we are finally at the planning stage. “I had a clear vision for the sort of restaurant and bar that I wanted to see open in Irvine and to achieve that I felt it was best to start with a clean canvas and knock the old hotel down. “We want to create somewhere fairly informal but with quality dining along with a bar offering continental lagers and somewhere different. SimpsInns are also about to launch their first ever loyalty card for customers to gain points, whatever hotel or restaurant they choose. This article is just one part of the on-line Business Development and PR support available to all clients of The Edge Studios. 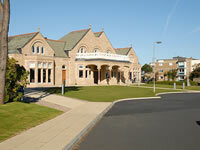 The E-dge provide web design, on-line reservations software and online marketing services to SimpsInns and their businesses at Old Loans Inn near Troon and Gailes Hotel in Irvine and hospitality and tourism businesses across Ayrshire and Scotland. Twenty Five Years on – From kitchen table to staff of 50 and electrical contractor John McCaig & Sons has celebrated a quarter century business. The milestone was marked with an open day held at the company’s old farm road premises in Ayr and has been further enhanced by a short-listing in the annual Select Awards. To help with the celebrations customers and suppliers of John McCaig & Sons attended to show their continuing support. Director Frances McCaig said: “ We were delighted at the turn out for our open day, it is with the help and support of such people that has made the past 25 years such a success”. John and Frances started the business in 1985, where they worked from their family home, while looking after their two young sons before moving to a leased premises in York Street in Ayr. It was always their aim to own premises and they and they achieved this in September 2008. The prominent block 3 Old Farm Road became available and it proved to be ideal for the rapidly expanding business, which now employs 50. It was always there wish that their two sons joined the company and they were delighted both of them decided to do so. Frances said: We thought it was extremely important John and Jamie had a trade behind them, so both served their apprenticeships as electricians”. John now holds the position of Contracts manager and Jamie is Estimator/Buyer. Dad John said : “ we feel the experience both our sons have within the company stands them in good stead for the many years they have ahead of them”. 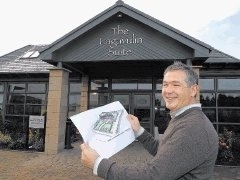 In 2005, Robert Stirrat, who started working for John McCaig & Sons in 1998, was made a Director. Robert started off as an electrician and has worked through the ranks. This article is just one part of the on-line Business Development and PR support available to all clients of The Edge Studios. 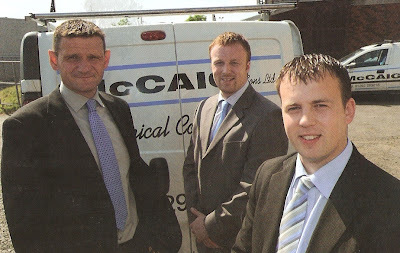 The E-dge provide web design services to McCaig Electrical and business across Ayrshire and Scotland. VisitScotland has reacted to today’s UK Government spending review announcement, stating that tourism will be ‘at the heart’ of the UK recovery. In reaction the review, Malcolm Roughead, the recently named chief executive of the Scottish Tourism body said: “We have been working with the Scottish Government on its preparations for the comprehensive spending review for several months and are committed to working together with the tourism industry to deliver sustainable economic growth and best value for Scotland." The argument is not that marketing is a prerequisite of destination marketing the challenge is how we alter the balance between public and private sector influence and input. The public purse cannot justify supporting a fundamentally free market sector with an unlimited budget. The long heard shout from small operators about VisitScotland doing nothing for them has always been flawed anyway (VS not being there to sell rooms but to market the country - in theory) but now is the time where budget cuts may concentrate those minds further. The return on investment may sound good but as we've highlighted elsewhere in this blog tourism statistics are perhaps the most unsound use of figures and can be made to say anything currently. The ROI of 20:1 is indeed impressive but is actually totally irrelevant if the revenue figures we use plucked from the air meaningless multiplier factors. And anyway, the challenge should not be about increasing our public sector expenditure in Scotland but about making it more effective and efficient. Savings must be made by concentrating on the knitting, divesting of ancillary and non productive public sector roles and concentrating increasingly on partnership marketing built to date by Malcolm Roughead in his marketing role at VS.
As a knee jerk reaction? Meanwhile, VisitBritain will see its funding reduced by a quarter over the next four years, it was announced today. The tourism body will review its operations as part of the budget tightening restrictions applied to the Department for Culture, Media and Sport with the current grant for VisitBritain falling from £28.8m this year to £26.5m in 2011/2012and £21.2m in 2014/15. Great piece of news for Scotland that the Monte Carlo Rally will be returning to Glasgow for the first time since Slade were at number one. That's the early seventies for those who can't remember Noddy Holder. According to various press reports between 70 and 100 cars will be at the start point at George Square ahead of the flag being waved to signal the start of the Scottish leg of the rally on the 27th of January. 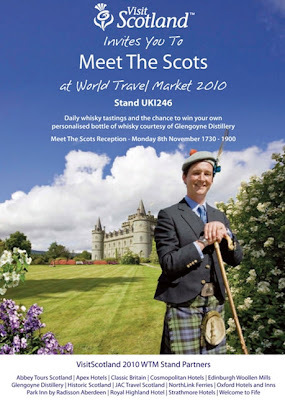 It's small niche events like this that will sustain Scotland in the media and for sure provide benefits to the more aggesive marketeers within the accommodation sector. Will there be a rash of Monte Carlo or Bust accommodation pacakges in and around Glasgow for that period? We hope so. The only thing that yet again frustrates us in here is that there is this overwhelming need for every event to have seven figure economic benefit attached to it for fear it may not be deemed positive enough. It is a great event, a positive achievement by those involved in making it happen so just drop the need for the "£1 million boost to the local economy say tourism experts" addendum. It's really not needed. According to The Scotsman, "The Scottish Open, which has been held at Loch Lomond since 1996, could be heading to a new venue after the European Tour confirmed it is in discussions with "four or five" links courses at the request of sponsors Barclays." "The news is a blow to Loch Lomond Golf Club. It posted pre-tax losses of £45.5 million for 2008 and has been on the market for the past two years." Apparently, the tournament sponsors, Barclays would to see the event played ton a links course in the hope of attracting all the world's top players the week before The Open and a decision on a prospective new venue could be made in the next month. You have to feel a little for Loch Lomond which is a splendid spectacle but it does make sense certainly for the organisers to have the event as a warm up for the links based Open Championship which follows on the week after. From a Scottish perspective it could be good for other tourism areas who find early July a perennial struggle to fill rooms. East Lothian has apparently been mentioned but the problem of the number of available rooms would push visitors into Edinburgh, Ayrshire's obvious candidate could have been Dundonald Links as the sister course of Loch Lomond. 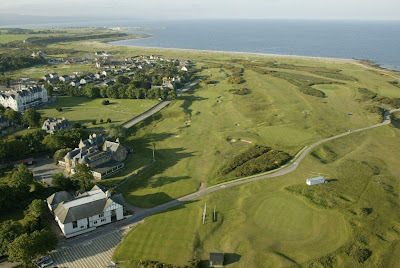 It does look however from the outside look as though the change of ownership plans may have inadvertently contributed to the course losing the event and that in turn would mean that Dundonald could be ruled out also. My choice? Let's be brave and go to somewhere fresh to areas that would directly see the benefits. If you want tradition go to Royal Dornoch, if it wasn't where it was it would have hosted half a dozen Opens already; if you want something new and challenging make it Castle Stuart between Nairn and Inverness. It pays to have an increasingly sceptical view on statistics; particularly tourism statistics. Over the past month we must have been subjected to more tourism statistics than any other industry in the world. We have had statistics for the value of The Open, statistics on the value of The Ryder Cup, statistics on the value of Nature Tourism, of golf in Fife, of The Commonwealth Games, of Homecoming Scotland 2009, of Homecoming Scotland 2014, of Convention Business to Edinburgh, of the value of sailing, of the importance of food and drink and this is only 23.2% of the sample range we could have actually used...but they are statistically significant! 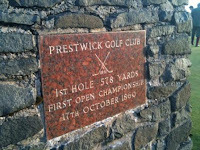 And it is this innovative and inclusive attitude that makes it all the more puzzling that our little three ball – the captain’s tee shot being ceremonial – made its way around the Prestwick Links without any apparent notice or recognition of the date from the wider world. Scotland’s golfing literati still seem to be fixated with The Ryder Cup or at least talking about Scotland’s 2014 version of it. 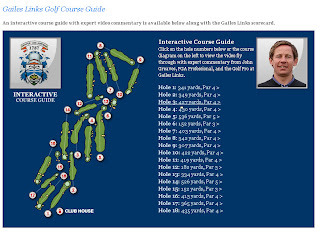 Alex Salmond talked about The Ryder Cup this week; EventScotland and VisitScotland focussed on it with the launch of their Ryder Cup 2014 website and today one of Scotland’s top golf journalists gave a full page over to making up a fictional 18 holes out of Gleneagles three courses which he thought more appropriate for the Ryder Cup 2014. The fear of many in the golf industry, certainly on the tourism side, has been expressed more effectively by others than I can do hear but the public agencies – Scottish Enterprise, EventScotland, VisitScotland and the government – must remember that there is more to Scotland’s golf future than the Ryder Cup. 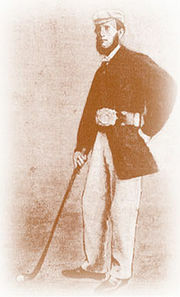 For sure it is a great spectator event but the promised economic legacy remains to date unfulfilled for other destinations (ask The K Club or Bord Failte) and we should reflect on this when missing truly unique opportunities to promote golf’s most historic date. The Ryder Cup is an important part of Scotland’s present picture but it will be fleeting; The Open has a Scottish heart with proven longevity. The economic benefit of 2014 at Gleneagles? Is that economic gain offset by the loss of The Open from Royal Troon the same year? Who knows. Would the R&A have made more of the date had it been an Old Course anniversary? Would VisitScotland have passed it over if it had been a five start golf resort and as for the golf press, well for sure there’s more than a few unique tales that should have been told today. Could we not have used the date of the first Open to highlight the date of our next home Ryder Cup? The 150th Anniversary of The Open Championsh garnered no press releases, no feature copy distributed on the Indian Commonwealth Games visit, no inclusion in any of the speeches by our First Minister about our history and heritage. 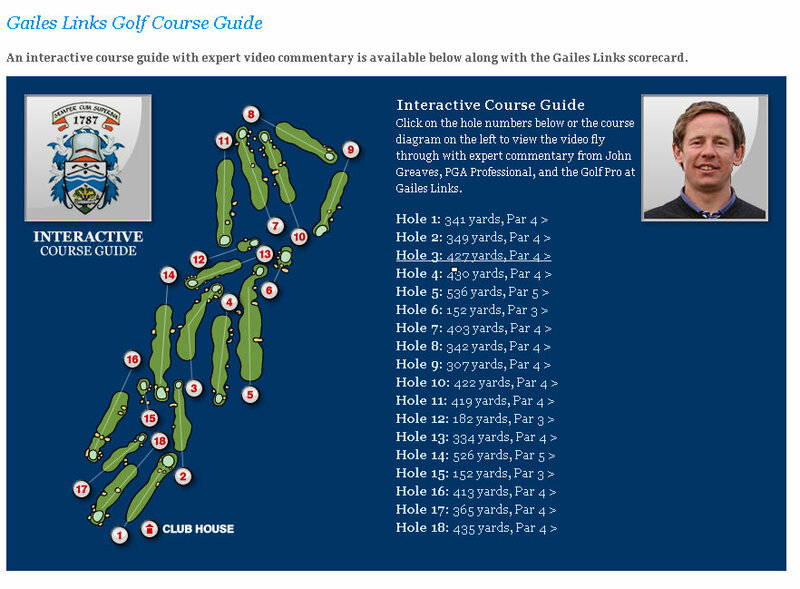 It didn’t even merit a mention on the official open Championship website. Analogies are cheap but we were putting for a birdie and came off with a bogey I fear. 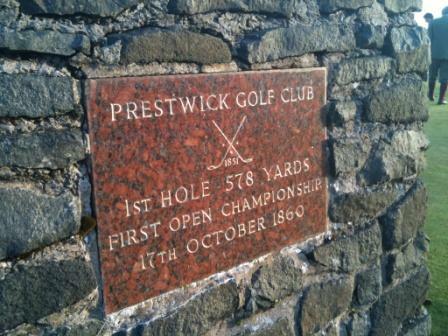 In short I can’t help but thinking that Prestwick, Ayrshire, indeed, Those first Open Championship players deserved a lot more from the 17th of October 2010; the date 1860 had a lot more resonance over the past week and a lot more PR value than the date 2014. Inspirational Retro Style Marketing or Missing the Point? Two emails within an hour of each other displaying two entirely different facets of our "industry". The first from go getter and assertive individual that he is Stephen Leckie (first time I met him was back in the the days of brilliant white shirt, no jacket, bright tie and red braces a la Wall Street Michael Douglas - most impressive it was too) pointing us to a review of a refreshed tourism strategy for Scotland. The next was from VisitScotland's expo team inviting us to Meet the Scots on their stand at the forthcoming World Travel Market. We will no doubt blog lots about the refreshing of Scotland's tourism Strategy later but it was the embedded image that got me most. I understand the rationale behind the Meet The Scots campaign and the use of independent operators and real people clearly resonates with some, indeed, many marketplaces. But I just have to wonder whether the image above is the inspiration that is required for a highly competitive international marketplace. I assume that there will be additional marketing messages going out alongside these ones and that other more dynamic images and calls to action will be in the ether soon. We shall ask the VS team for their plan of attack and come back to you. But in the meantime what are your thoughts? The Peat Inn by St Andrews has become the third 'Restaurant with Rooms' in Scotland to attain both an EatScotland Gold Award and a Five Star Gold Award from VisitScotland's Quality Assurance Scheme. Now part of a small and exclusive group comprising only two other such establishments in the country - The Three Chimneys in Skye and Loch Ness Lodge outside Inverness - The Peat Inn has been recognised as offering guests exceptional quality across the board, from hospitality and service to fine dining. Geoffrey Smeddle chef proprietor of The Peat Inn, said: "We are stunned but absolutely delighted by the news. The entire team here is passionate about delivering exceptional quality in every area, every day, for every guest. For that to be recognised by such a pioneering quality assurance scheme is truly fantastic. We feel excited and truly privileged to join such an elite group of 'restaurants with rooms'." Originally a coaching inn dating from the 1700s, The Peat Inn is synonymous with excellent cooking and hospitality. Taken over in 2006 by renowned chef and food columnist Geoffrey Smeddle and his wife Katherine, the restaurant with rooms uses the highest quality local and seasonal produce and boasts eight individually appointed and beautifully furnished suites, with bedroom and separate living room uniquely on two levels. We got an email in from our good friends at Simpsinns in Ayrshire yesterday. 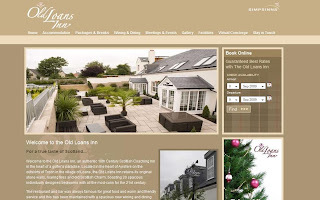 "We are delighted to announce that The Old Loans Inn near Troon in Ayrshire is one of three short-listed finalists in the Scottish Licensed Trade News Awards Best New Business of the Year 2010. The glittering awards ceremony will be held at the Hilton in Glasgow at the end of October. Companies nominated are recognised as the hospitality stars of 2010 and the highly sought after title is fiercely contested. We are delighted to have made it this far and are looking forward to the awards ceremony. It's a tremendous acknowledgement for the effort commitment and dedication that our entire team delivers on an ongoing basis." 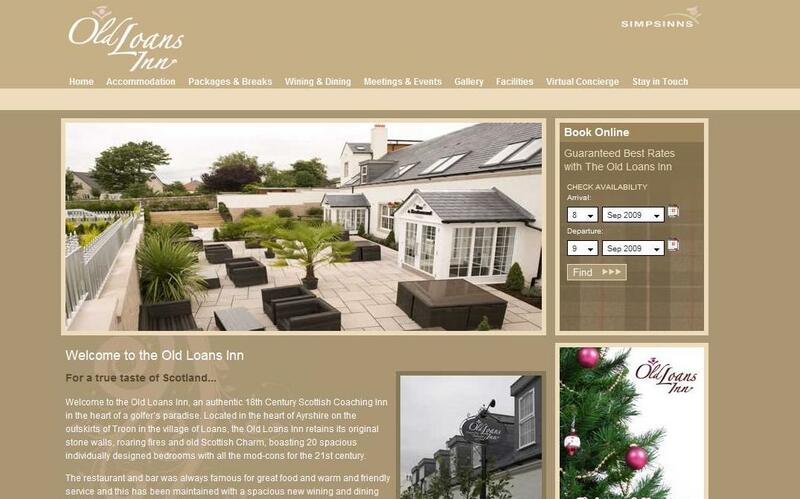 The investment at The Old Loans Inn has been extremely impressive and we're delighted to having been working with Malcolm Simpson, Gill and the team at The Old Loans and The Gailes Hotel helping them develop their online marketing strategy and providing their booking engine through Bookassist. We've just had notice that the sixth AGM of Golf Tourism Scotland will be held on Thursday 11th November at 3:30 for 4:00pm, in the Redan Room of the Macdonald Marine Hotel and Spa, North Berwick. The initial papers for the meeting are now available for members to download. Notice of any business that a paid-up member wishes to have transacted at the meeting and nominations for the Executive Board should be sent to the Company Secretary by Thursday 14th October. The AGM is always followed by the annual Awards ceremnoy and shindig and once again more than 150 industry members will descend on North Berwick to celebrate the very best of Scottish Golf Tourism. For the uninitiated Golf Tourism Scotland is the membership body representing hotels, golf courses, tour operators, travel trade and service providers offering support, lobbying and marketing opportunities. They have recently created a promotional video highlighting their Modus Operandi - the video was produced by Ayrshire based marketing Agency The Edge.